Crit’s song “Miracle Day” cowritten with David Tobin was chosen for a the new Cassegrain commercial to air nationally in France. Non, c'est totalement impressionnant ! Thrilled to have supervised the mixing and mastering of Susan Werner’s new CD “Nola”. Based on the piano stylings of Professor Longhair and Dr. John, Susan has written nine new tunes and tossed in a new take on an old classic. Amanda Maffei "Both Sides Now"
Amanda Maffei recently released her new CD "Both SIdes Now"
produced by Crit. The album features all star musicians Brad Hatfield, Duke Levine, Jim Gwin, Marty Ballou, Stan Strickland and Fabio Pirozzola. Backing vocals were provided by Vance Gilbert and Barbara Kessler. 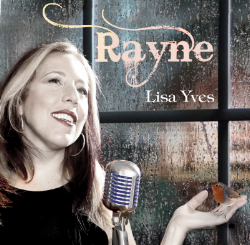 "Rayne" the new CD from Lisa Yves. Lisa Yves just released her latest CD "Rayne" produced by Crit Harmon. The CD was performed almost entirely by Lisa and Crit with Crit providing drums, bass, guitars and mixing. The Young and The Restless recently featured 2 original compositions: "Tenderly" by Crit Harmon and Brad Hatfield and "Fireworks and Cheap Repairs" by Crit and Kerri Powers. Both songs were performed by Kerri Powers. New release! 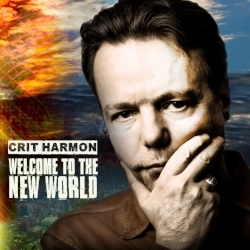 "Welcome to the New World"
New release! "Welcome to the New World". A 10 song CD of gritty retro pop featuring apocalypse preppers, false prophets, stoners, zombies, voyeurs, and a ham radio philosopher. Listen! “Chuck” features song by Crit and Kerri Powers. The new movie “Chuck” starring Namoi Watts and Leiv Schrieber features the song “Diamond Day” by Crit Harmon and Kerri Powers. The new Tim McGraw collection features the original song by Crit and Mary Gauthier "I Drink". I Drink has also been featured on the Blake Shelton CD Barn and Grill and is being sung by Babby Bare on his forthcoming CD. NCIS New Orleans recently featured Crit's original song "Killin' TIme" sung by Tim Gearan. Catie Curtis "While We're Here"